This is probably the most excited I have ever been to write a blog post and that is because I am so passionate about this product. This post is going to be all about the RCMA No Colour Setting Powder and let me tell you that it has been an absolute game changer for me. Years ago, I saw this product and bought it because I thought it was perfect to set my stage makeup in my Ballet years. Back then I wasn’t really into makeup as much, so I didn’t really appreciate it. A couple of weeks ago, I saw this online and I decided to buy another and try it once again and I have to say that I am absolutely loving it! The first thing that I want to talk about is the packaging. I am sure if you have visited my blog before, you will know that I always like to speak about the packaging first, because it is the first thing that I notice about a product. I have to admit, that the packaging is the only downfall in my opinion. It does feel incredibly cheap and plasticy. It has a flip top with holes in that dispense the product and I just find it so incredibly messy. For a while, I tried to use the product straight from the tube that it comes in and I found that I lost more product than I used, so now I pour it out into an old pot from a MAC powder that I have, and I absolutely love it. Now, I want to mention the best thing about this powder and the thing that I think is the biggest selling point and that is the amount of product that you get in the tube. You get a staggering 3 oz of product, which roughly is around 90g, which is just out of this world. If you compare that to other translucent powders that are out there on the market like the Laura Mercier Translucent Setting Powder or the MAC Set Powder, you get three times the product. Plus, with the Laura Mercier it is around £30 for 30g and this RCMA No Colour Powder is only £12! When I apply this powder to the face, it feels like silk gliding on the skin. It makes my skin look so beautiful and flawless and that is because it is so finely milled. This RCMA No Colour Powder feels just as good as any other product in my collection that I have tried and that is why I love reaching for it. Honestly, I would say that there is nothing to differentiate between this and the Laura Mercier when it comes to the consistency and application of the product. I have tried so many powders over the years, but I would say that this is very near the top with regards to how it goes onto the skin. I find that when I apply this product, especially in the areas underneath my eyes and around my nose, where I have pretty large pores, it seems to blur everything and make the skin look so nice and smooth. My pores look hidden and my skin just looks like porcelain. It sets the face beautifully and it keeps my foundation in place all day long with minimal touch ups needed. I do get a touch oily around my nose, but that is the same with any translucent powder. Also, something else that is worth mentioning is that when I bake with this, if I leave it on for a long time, I can get flashback in images, which is something to bare in mind. But obviously for an everyday basis, this really isn’t a concern. 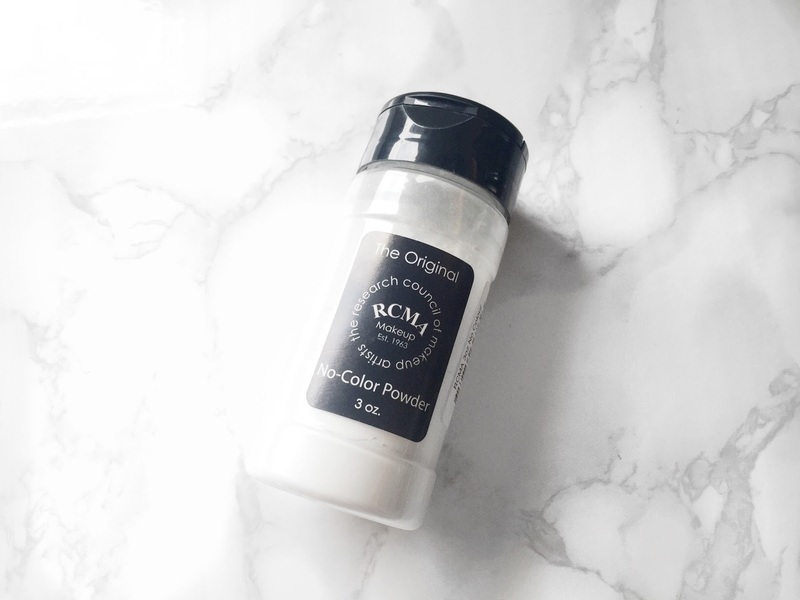 I am going to leave the review of this RCMA No Colour Powder here because I really could talk about it all day long. I think that not only does this set the skin beautifully, last all day and make my skin look perfected, also the quality for money is out of this world for the amount of product you get for the price. For 12 and 90g of product, I know that this is going to be my go to product for a very long time indeed because it makes my skin always look so perfect. I will leave a link to this powder down below in case you want to check it out for yourself. Make sure to leave me a comment and let me know if you have tried this powder and tell me what you thought about it. The powder sounds amazing especially for the price! It's just a shame about the packaging, it would be a lot more convient if it was in a pot like powders usually are! But for the price, I really don't think that the packaging is that much of a big deal! I keep hearing such amazing things about this :) I suppose the packaging is a small price to pay for a great powder at a low price! Exactly, it is an amazing powder!